Sedona is home to galleries full of local and global artwork. Sedona is often recognized as being one of the best small cities in the country for the arts, and many of its galleries are within walking distance of one another (which you can see on this gallery map). Whether you’re an avid art collector, or simply looking for a souvenir for friends and family back home, your choices are many. 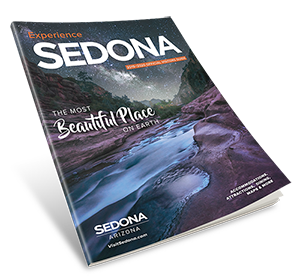 Sedona is home to numerous art galleries, supported by a thriving bohemian art community. Artists in the area often find inspiration right in their own backyard, with breathtaking landscapes of red rock formations underneath a vast sky. Join us in Red Rock Country and add to your collection of original paintings, prints, photography, jewelry, quilts and other quality pieces from many world-renowned artists.